Everyone’s heard of the Porsche 911. 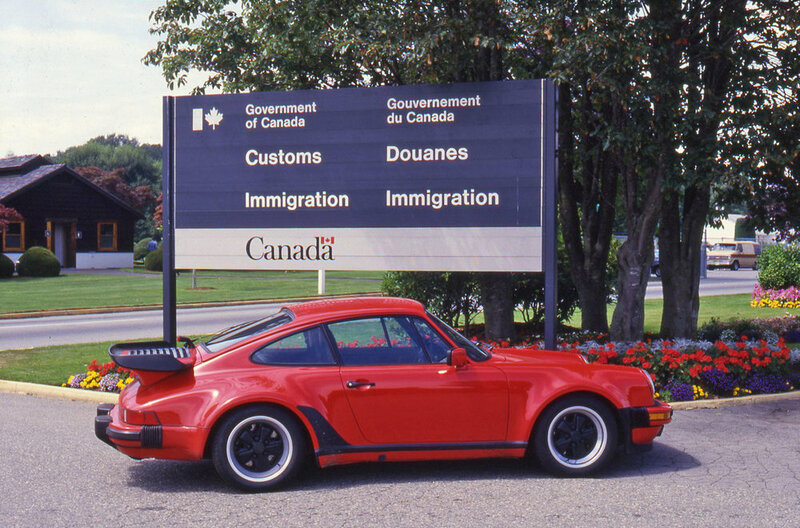 You know, that iconic rear-engine sports car that inspired the 935 turbo that won the 24 Hours of Le Mans in 1979, provided the foundation for Porsche to win four straight World Sportscar Championship titles between 1976 and 1979, and won titles at Targo Florio, Sebring, and Daytona during the 1970s? Maybe you’re familiar with the modern Porsche 911. Contemporary Porsche 911’s retain the iconic rear-mounted engine, yet are far more rounded and aerodynamic in design and have an equally iconic retractable rear-spoiler that keeps the car bolted to the road at high speeds. Whether you’re familiar with older Porsche 911’s or not, Porsche has progressively modified their 911 throughout the decades. Porsche’s air-cooled six-cylinder power plant, however, stayed relatively the same until the 1990s when new Porsche engines entered the arena. Keeping Porsche’s original six-cylinder engine in mind, let’s flashback to 1987. Chrysler acquired American Motors, Henry Ford II passed away, and the Thunderbird Turbo coupe won Motor Trend’s Car of the Year award. Oh, and someone thought comparing a Porsche engine-powered Cessna 182 Skylane against a Porsche 911 Turbo was a good idea. I mean, that is a good idea. Porsche, commonly known for automobile engines, also produced aircraft engines. Although Porsche built aircraft engines beginning in the early 1900s, Porsche’s most notable aircraft engines didn’t gain much attention until the 1970s when an airship was powered by two Porsche Type 930 engines – the same engines powering the Porsche 911 Turbo. By 1982, Porsche developed the PFM 3200 (Porsche Flug Motor 3.2 liters) and stuck the engine in a Cessna 182 Skylane. After receiving approval from the German Aviation Authorities in 194 and the Federal Aviation Administration in 1985, PFM 3200 engine production got serious in 1987. Porsche felt their 911 Turbo engine could easily be modified to be an aircraft engine, and engineers were essentially right. The PFM 3200 aircraft engine is basically an air-cooled Porsche 911 Turbo engine with a handful of modifications. So naturally, this begged the question of whether or not flying a Porsche-powered Cessna was more efficient that driving a Porsche 911 Turbo. Who the heck would win that runway race? !